Less than two weeks after a Cathay Pacific ticketing error led to premium seats being sold for economy fares, Cathay Pacific has accidentally sold tickets from Europe to Hong Kong for less than a tenth of their usual prices. The South China Morning Post (SCMP) reported that first-class tickets from Portugal to Hong Kong were sold for $2,103, down from $22,179. And because Cathay Pacific doesn’t fly direct from Lisbon to Hong Kong, the deep discount also included one-way legs on partner carriers from Lisbon to London, Frankfurt, or Zurich. A Cathay Pacific spokeswoman said the fares were the fault of a website error due to an input issue. “The sale of such fares was stopped immediately,” she said in a statement. 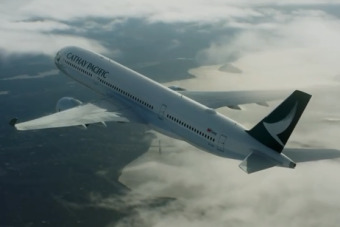 Cathay Pacific again accidentally sells first-class tickets for a fraction of the price – Business – ABC News (Australian Broadcasting Corporation).